Join a century-old tradition by participating in the 2017 Christmas Bird and Mammal Count in Saskatchewan. No experience is necessary. Count birds at a feeder on your property or join a team that is covering part of a count circle. Organizers ask that you register as soon as possible. Christmas bird counts are for all ages! 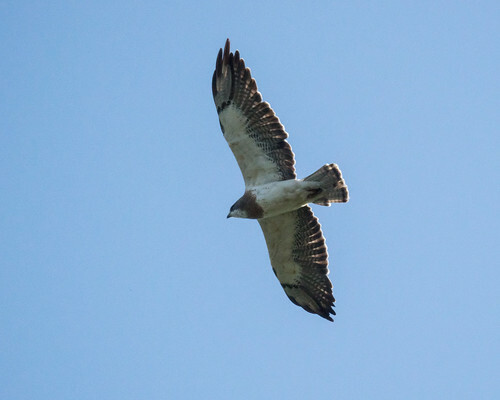 Check out the Christmas Bird Counts for Kids in Regina and Saskatoon. Moose Jaw Nature Society plans to hold a search, but the date is not yet set. Contact them if you’re interested in participating. We will continue to update this list, so let us know if any counts are missing. Dec. 29 – Centre Block, Cypress Hills Interprovincial Park. Meet at the Visitor Centre at 10:30 am for a walk-about and at 1:30 pm for a snowshoe hike. Dress warmly and bring your own lunch. 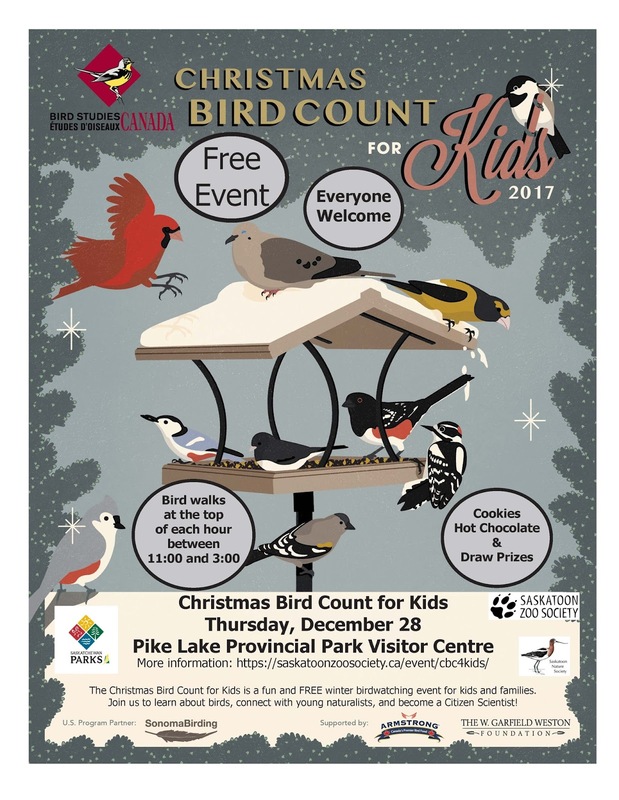 Saskatoon Zoo Society is hosting a Christmas Bird Count for Kids at Pike Lake Provincial Park. No registration is necessary. Meet at the Pike Lake Visitor Centre. At the top of each hour between 11 am and 4 pm, participants will go for a short (20-30 minutes) bird walk and then head back to the Centre to warm up with hot chocolate and cookies. No binoculars? No problem – some will be available to borrow. 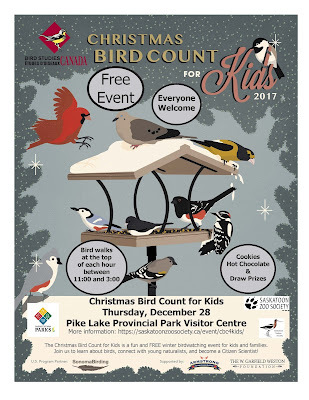 Nature Saskatchewan is hosting a Christmas Bird Count for Kids in Wascana Park from 1-4 pm, Jan. 6. There will be a live burrowing owl presentation, snacks and hot chocolate. RSVP to Lacey (306-780-9481, lweekes@naturesask.ca).